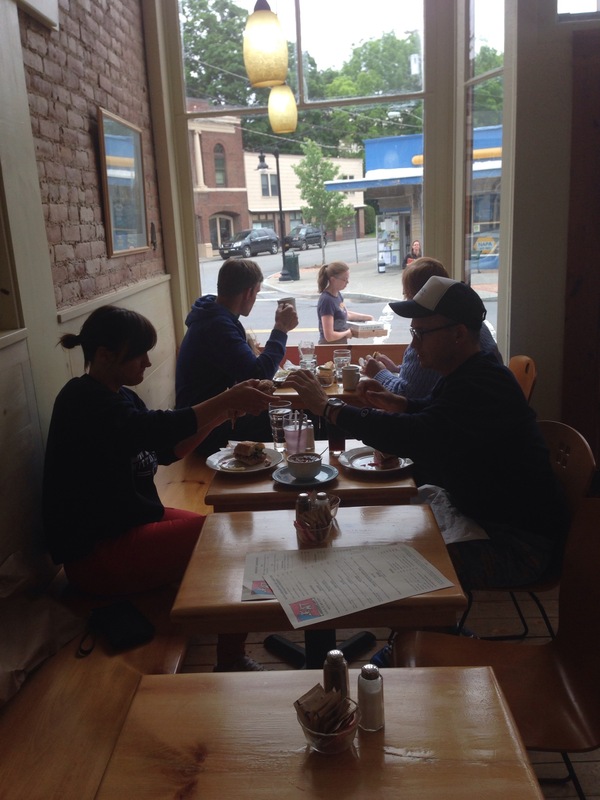 Creekside Cafe specializes in delicious, locally sourced, farm to table cuisine for breakfast and lunch. 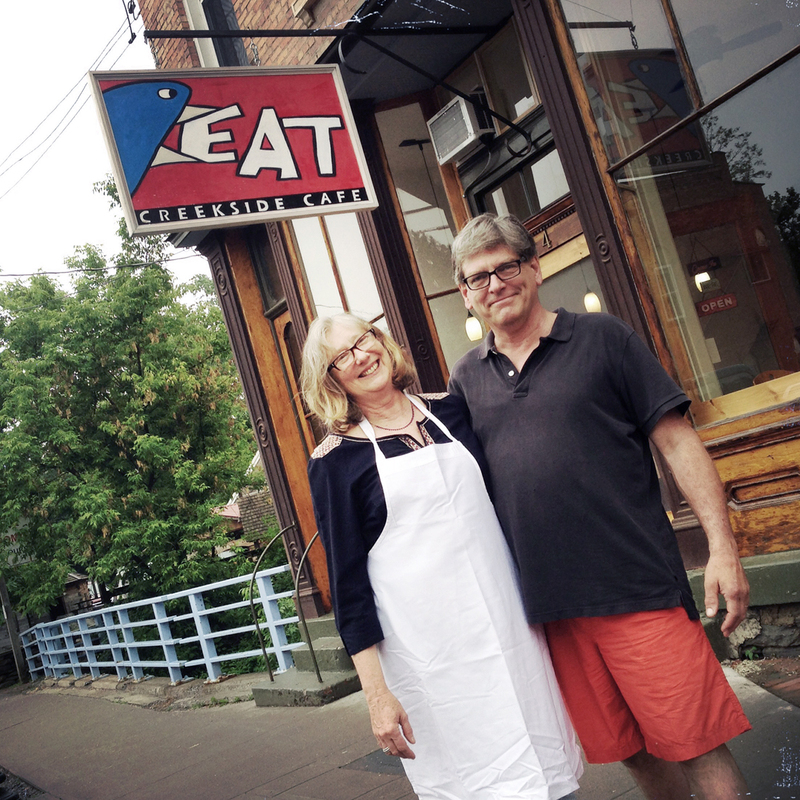 The Cafe is happily situated in the middle of the Village of Trumansburg, in the heart of the growing local food shed made up of small farms, producers and agri-entrepeneurs. Creekside is open Thursday through Sunday from 8 a.m.–2 p.m.( 9 a.m.- 1 Sun.) Breakfast on Saturday is offered until noon and on Sunday, all day. Stop in for a sandwich , or fresh eggs with crisp bacon and a generous cup of hot coffee. Take a look at the blackboard for specials and the display case for the yummy baked goods to eat in, or take home.